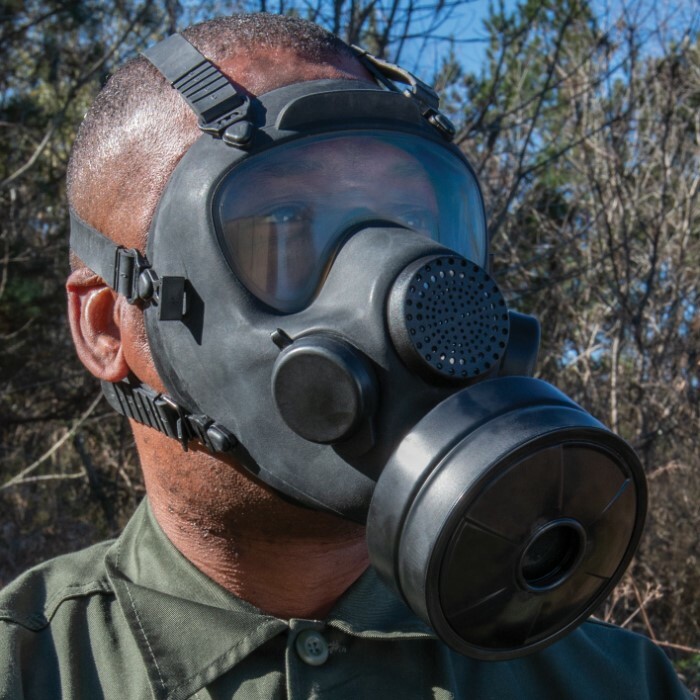 We’ve found a stash of authentic military surplus, like new, Polish MP5 Gas Masks priced to move, and we’re passing the savings on to you! This like-new gas mask helps to protect the face, eyes and respiratory system against chemicals and radioactive and biological warfare agents in the form of gases, vapors, aerosols and more. 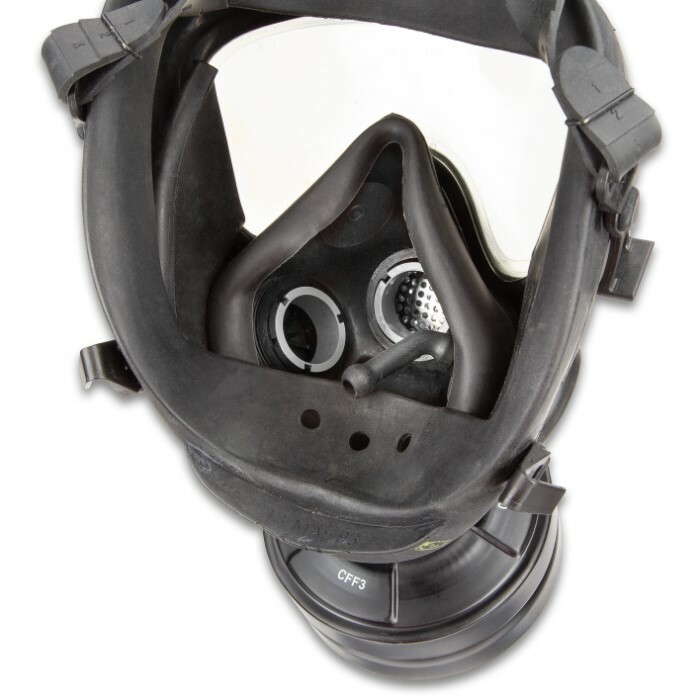 The face of the mask is made of plastic and it has one large viewfinder and the absorption mount is located at the bottom of the mask. 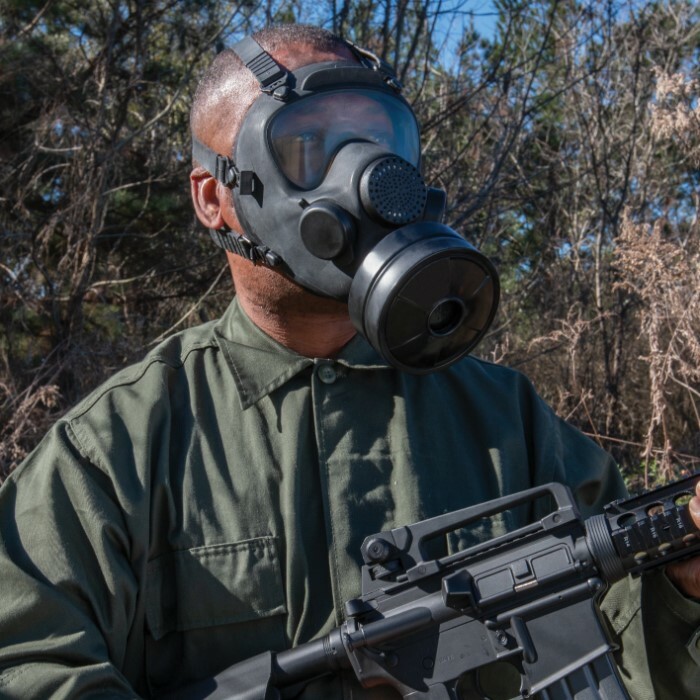 The mask is designed for an FP-5 filter (NATO standard thread) and other filters with NATO standard threads can also be used. 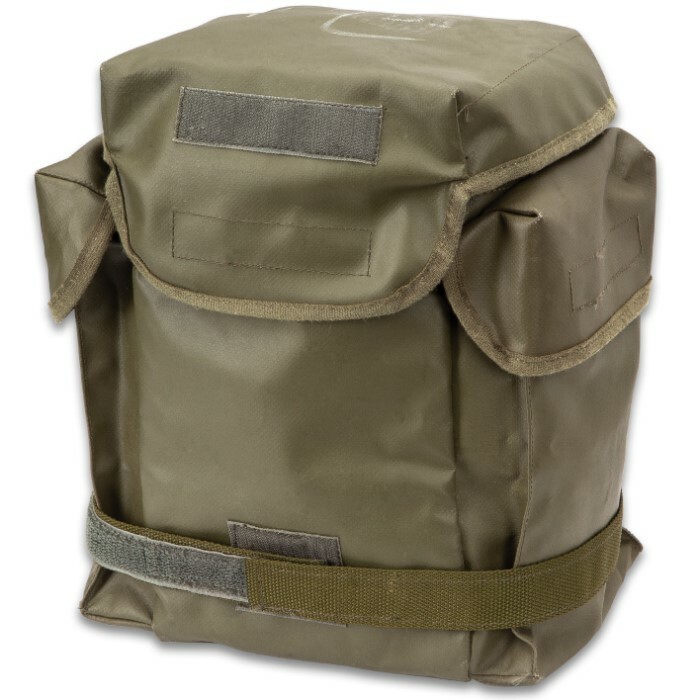 It comes in a heavy-duty vinyl transport bag with multiple pockets and two nylon webbing straps with MOLLE compatible clip hooks. The mask came almost new, like advertised, however it had some white colored spots on the outside of the mask, which I kind of expected. However, what wasn't expected was the amount of film on the lens. Thankfully with a bit of rigorous cleaning, the visibility is much better and no longer immensely fogged up. 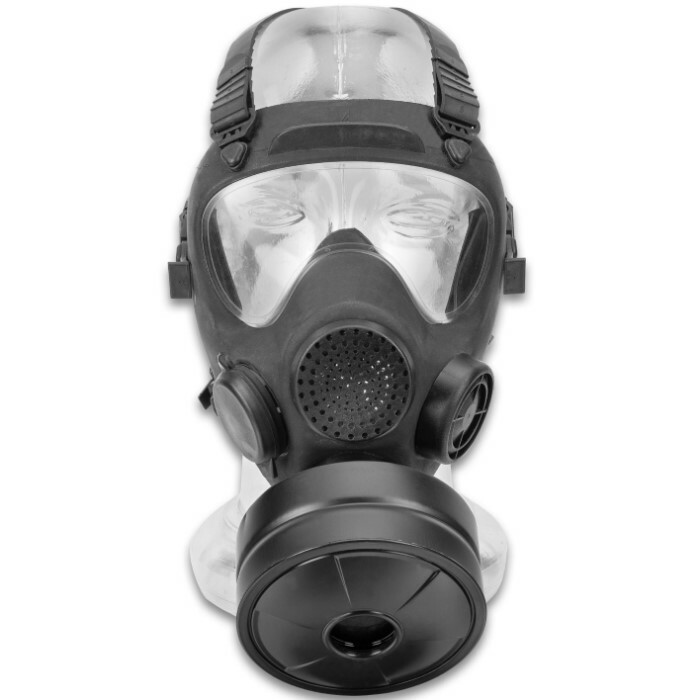 It's good that this mask takes 40mm threaded filters, since I already had a filter opened up from an M65 mask I ordered from this site a long time ago (which is sadly no longer available; the one I own now has a crack in one of its lenses). 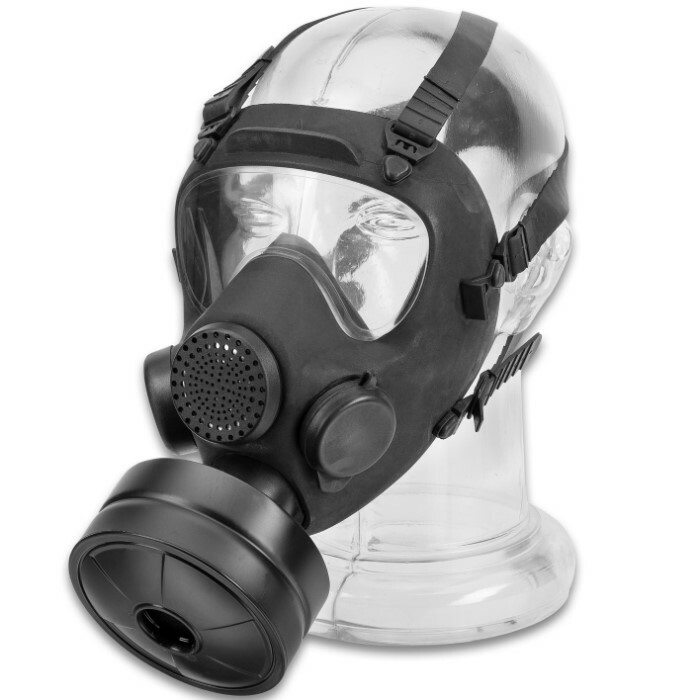 A good mask, although a little difficult to adjust due to how the adjustments in the straps are handled. The mask is like new with no signs of wear. The only issue with the mask is that its a bit too small and digs in to my chin. Id say its a medium size mask. I'm 5'11 and wear a 7-1/4" hat for reference. The filter was sealed. The bag looked like it had been through every European war since 1900 with holes in 5 out of 8 corners, unusable unless you don't care about rain and dirt getting in! 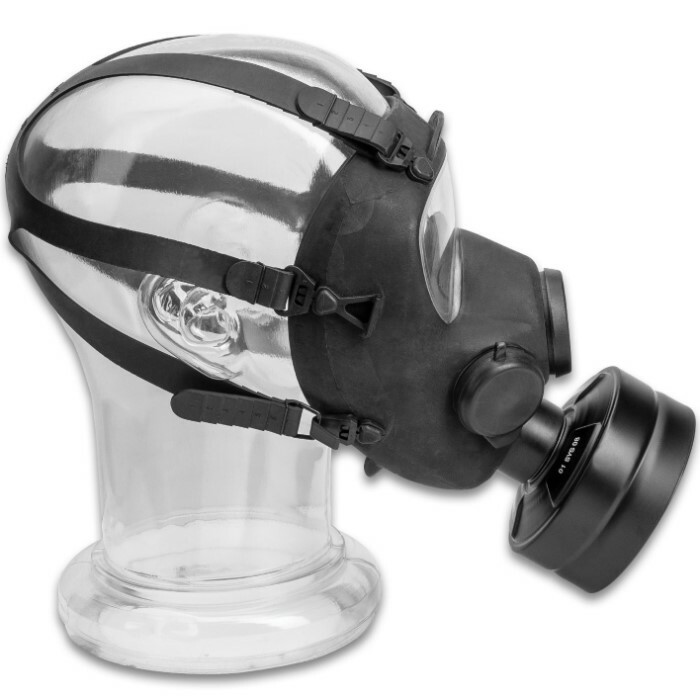 Im sure this mask comes in different sizes and it would have been nice to know a size in the description budk! The mask came in fantastic condition, not a scratch anywhere on the carrier, filter, or the mask itself. The rubber straps on the mask are a little difficult to adjust, but once they've been set you should never need to adjust them again. Cleaning the mask is pretty simple with the exception of the panoramic visor, which is not a solid piece of plastic, but some kind of silicone or something similar. The visor gets "smeared" very easily, giving the impression that it is covered in some kind of oil. After cleaning the visor specifically with hot water and vinegar and allowing it to air dry, it seemed to fix this somewhat, though the edges of the visor still appeared slightly smeared. 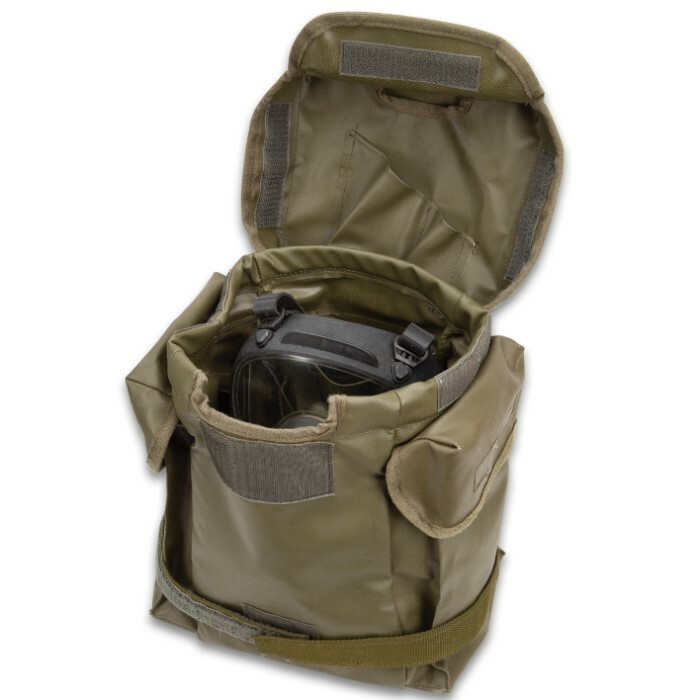 Overall, great quality for the price offered, and the carrier is one of the highest quality ones I've seen. You'd be a fool not to add this to your collection.